As the winter solstice approaches, days grow shorter and darker and colder across Lapland. Of course, the opposite is true starting the day after the solstice. By February, there’s 10 hours of daylight every day. By the end of May, night feels like a fading memory. 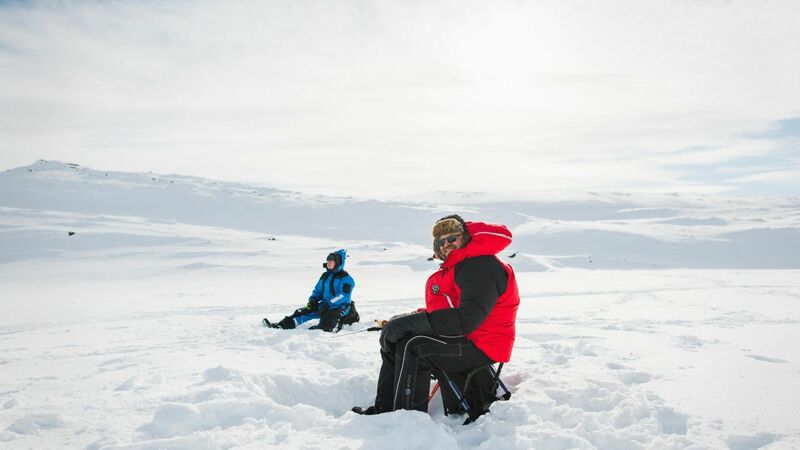 Tanning in Lapland happens, almost whether you want it or not. There’s just so much damn sun. 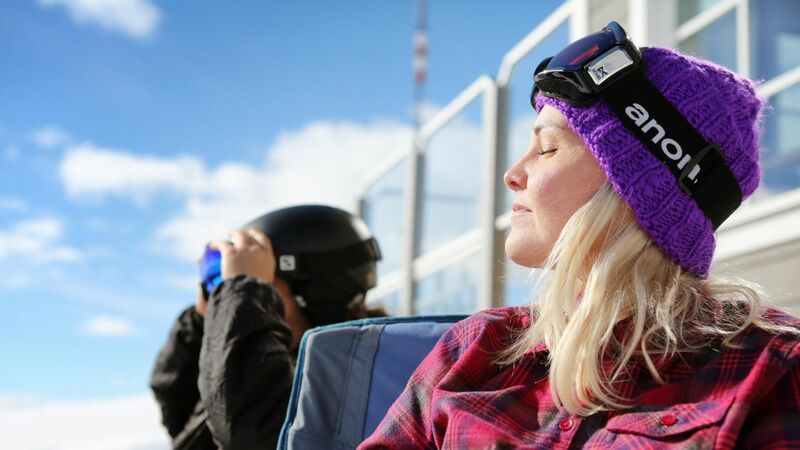 Here’s eight ways you can get that California tan, even when there’s a meter of snow underfoot. 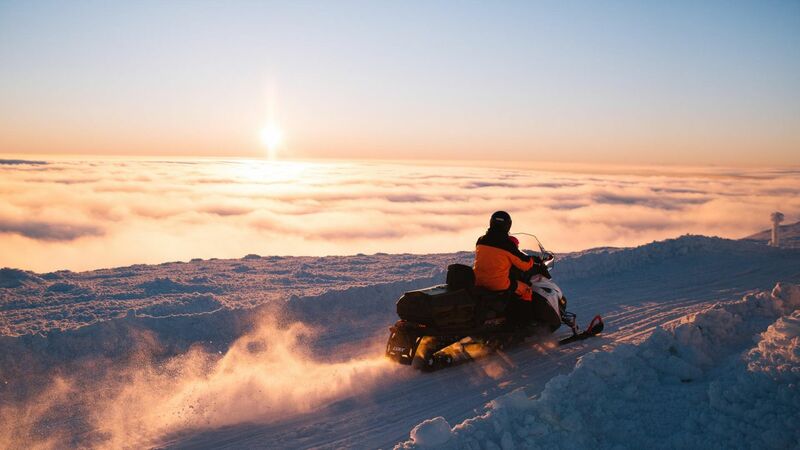 There’s so much snow in Lapland that for a few months out of the year, it’s often easier to hop on a Skidoo than into your Skoda. 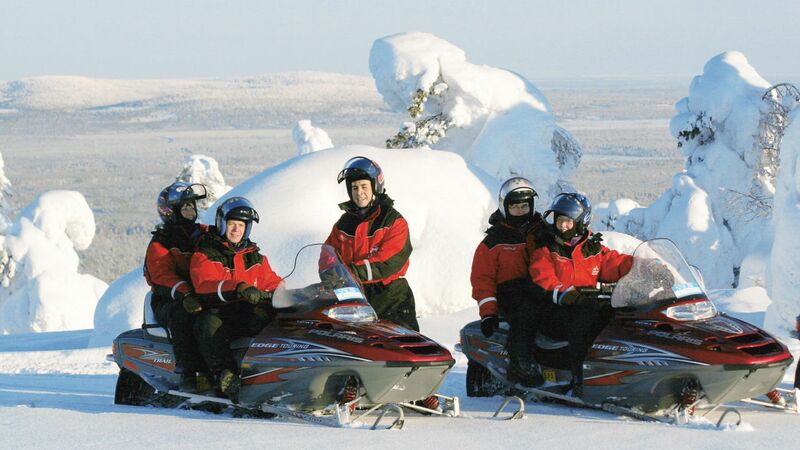 Take an hour long ride around Santa Claus Village in Rovaniemi. 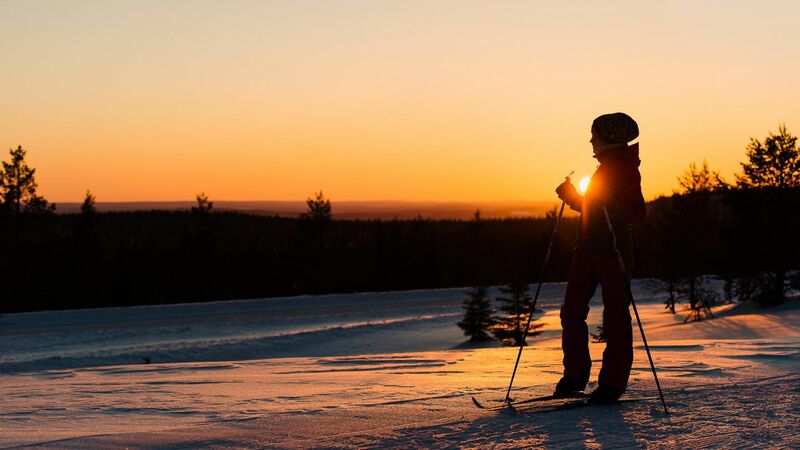 Or bring some food and coffee and trek off toward the Scandinavian Mountains in Enontekiö. Riding around for hours with the sun overhead, and the bright reflection from the snow, will put some color in your cheeks. 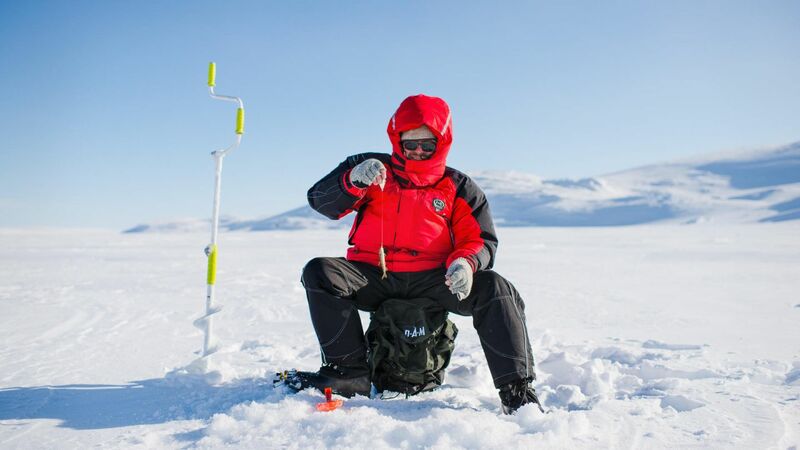 The few fish that stick around the Arctic during the winter move slowly and surely under the meter thick ice atop rivers and lakes throughout. 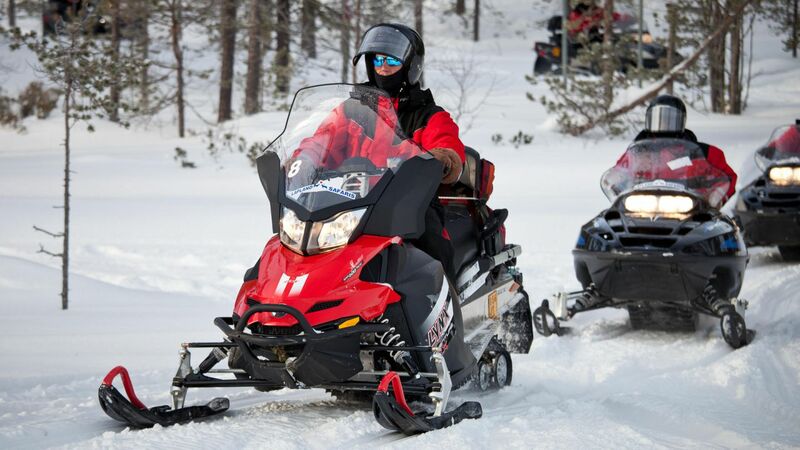 This is the time to ride a snowmobile or hydrocopter out to a secluded area on Lake Lokan Tekojärvi or its northernmost cousin Lake Pulmankijärvi, drill until you hit the dark water, and test your patience. You don’t need to do anything to get a good tan on a bright, snowy day. Temperatures in early May reach as high as 10°C (50°F) in some areas, so bring a towel or a blanket, plop it down and soak in the sun. 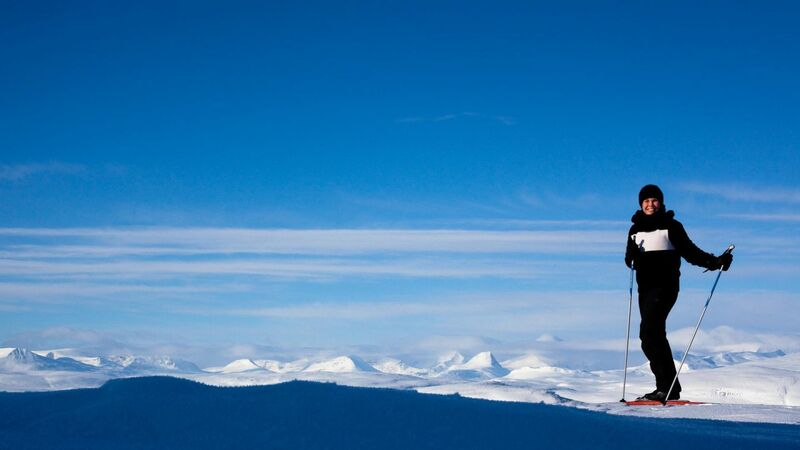 You can do it on a frozen lake, atop Ruka fell or just about anywhere. 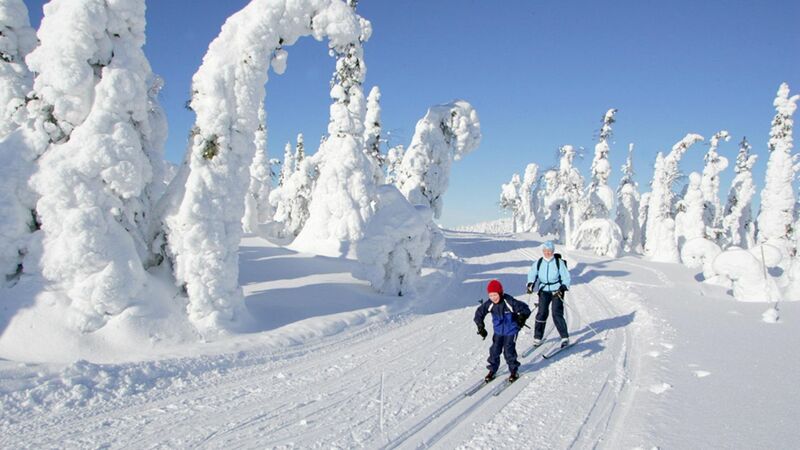 Mid-spring is so perfect for skiing, Finns take a week off to enjoy the sun and cool weather. 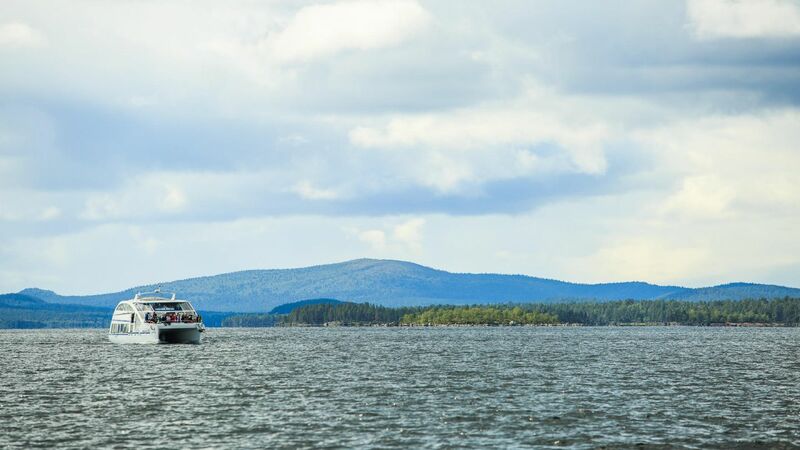 There are routes that take you down across Lake Sarkijärvi, the fells rolling away in the distance. 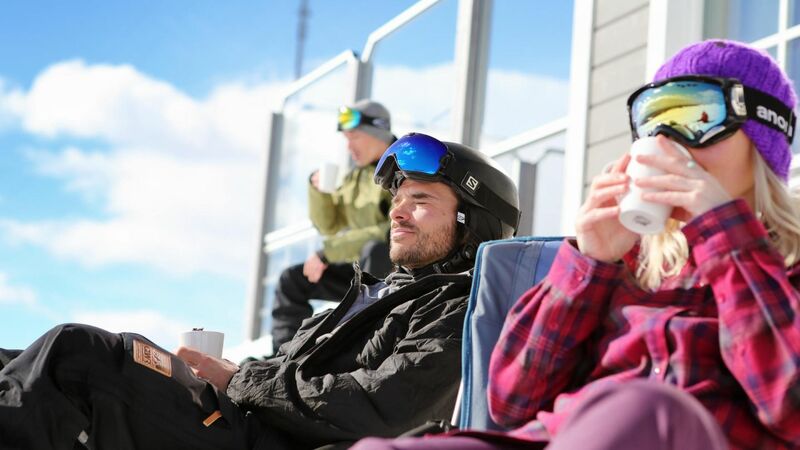 After stretching your legs for a few kilometers, a trailside ski cafe is the perfect place to stop for a cup of hot cocoa. Don’t forget to take a selfie to show off the tans lines from your sunglasses! You can ski on the frozen river. You can snowmobile across frozen lakes. But how are you expected to take a cruise when the sea is frozen solid? That’s what icebreakers are for. 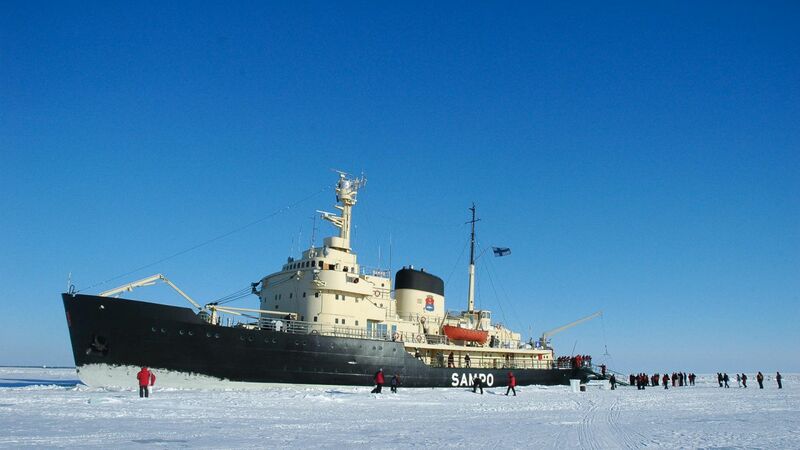 And Sampo, Kemi’s resident icebreaker is the perfect place for all kinds of fun in the sun. Stand on the bow as the ship plows through the frozen surface of the Bothnian Sea. Afterward, enjoy a lunch downstairs and try to get that Celine Dion song out of your head. 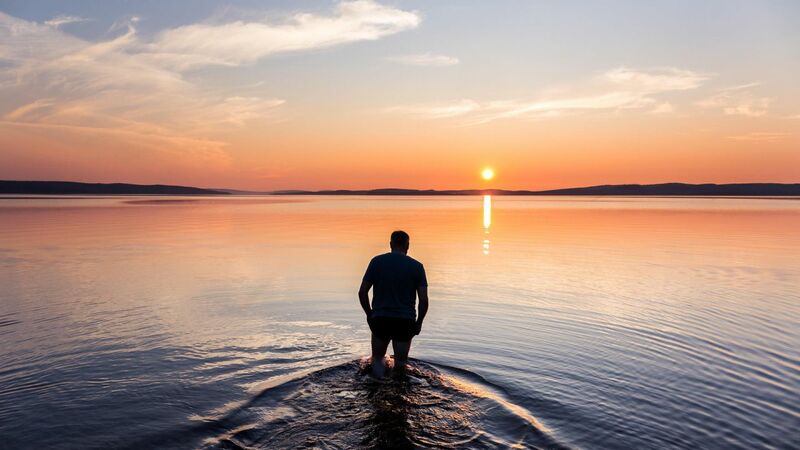 When the waters are free and warm in the summer, cross Lake Inari to the sacred island of Ukko. Or traverse Lake Kemijärvi on a nightless night cruise. 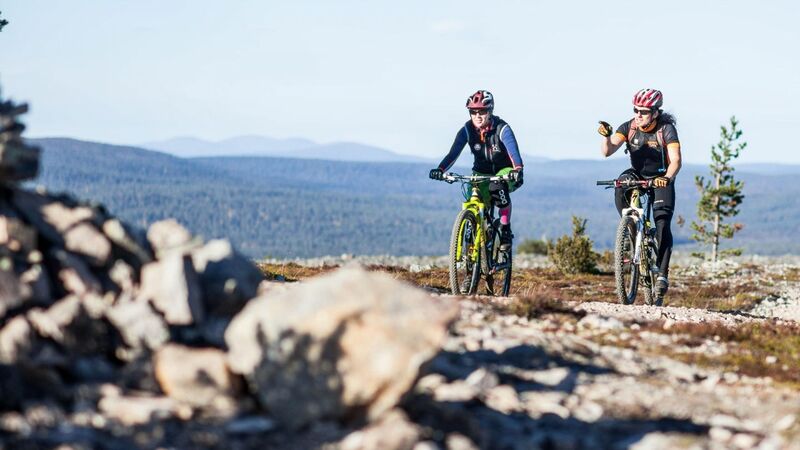 Photo by: Inari-Saariselkä Tourism Ltd.
As summer paints Lapland with wide swaths of green, the best way to experience and explore the wilderness is on a mountain bike. Climb to the top of Levi fell directly, or take your time and enjoy the gentle paths that encircle the hills and forests around the resort. 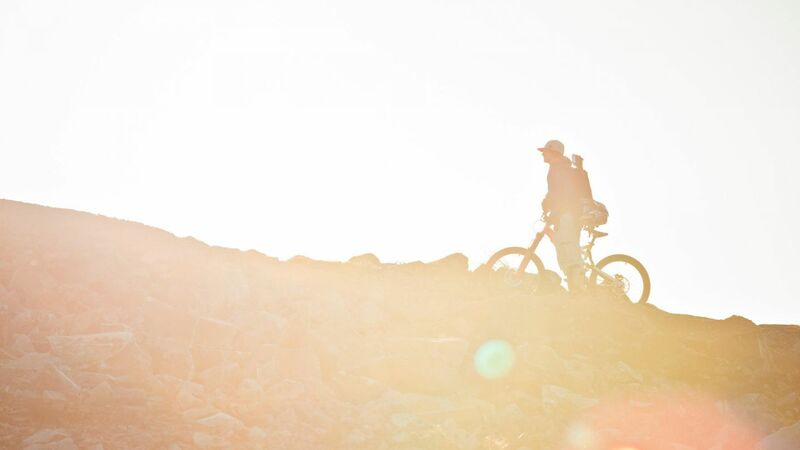 Nothing beats the cool wind on your face and the glare of the Midnight Sun in your shades. 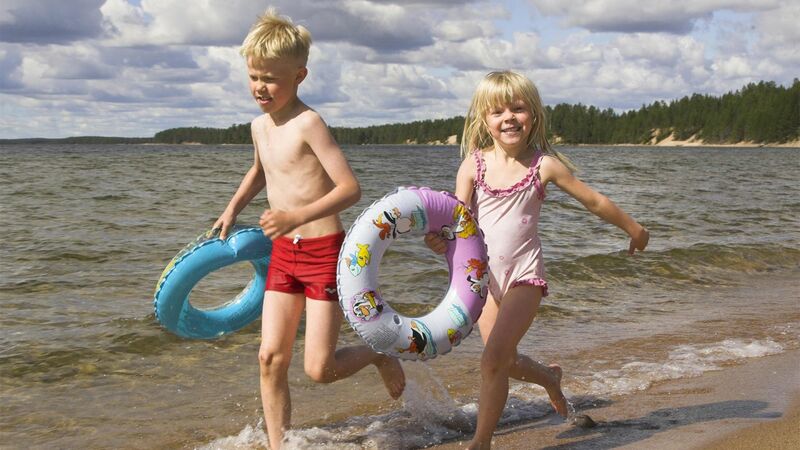 The first swim of the year in Finland “takes your winter fur away,” and it’s almost always a shock. 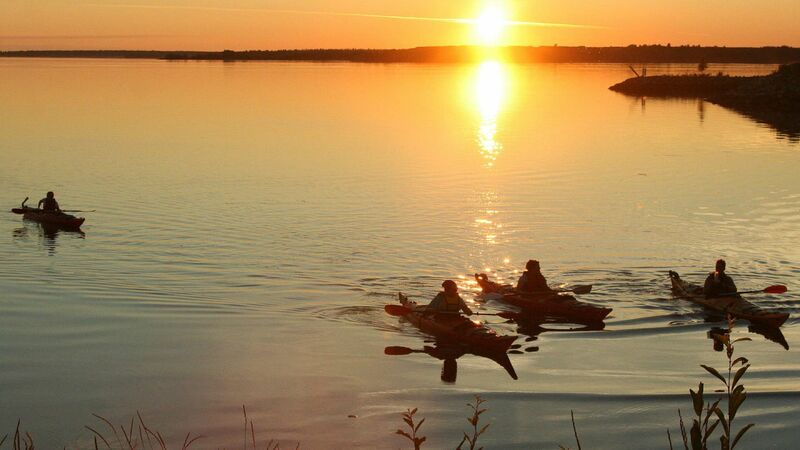 But by the time the Midnight Sun has made his appearance, you can pop into the rivers and lakes and seaside just about any time of the day or night. 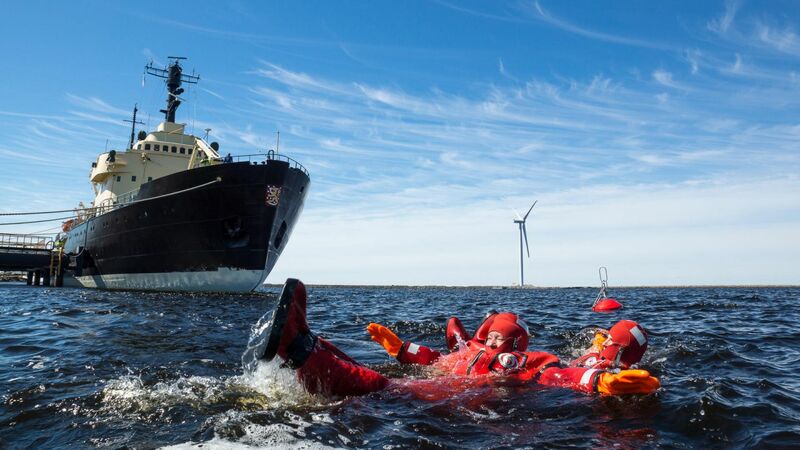 In the Tornio River in Pello, there’s the annual Swim the Arctic Circle. 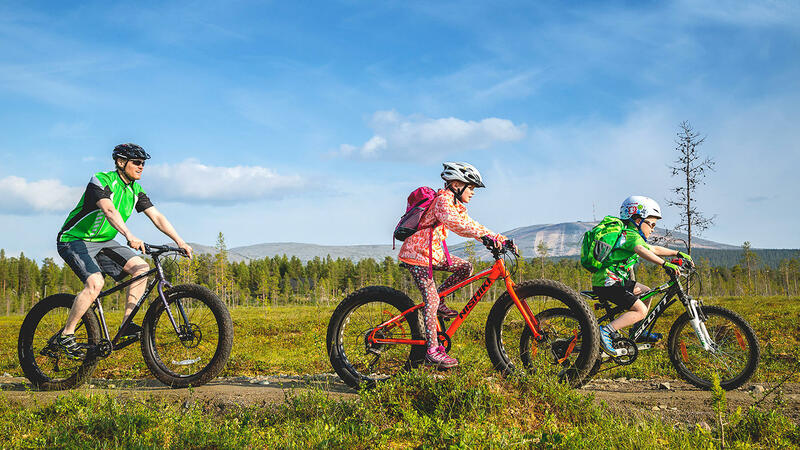 Cross the border between Finland and Sweden, as well as the Arctic Circle, under the full light of the Midnight Sun. 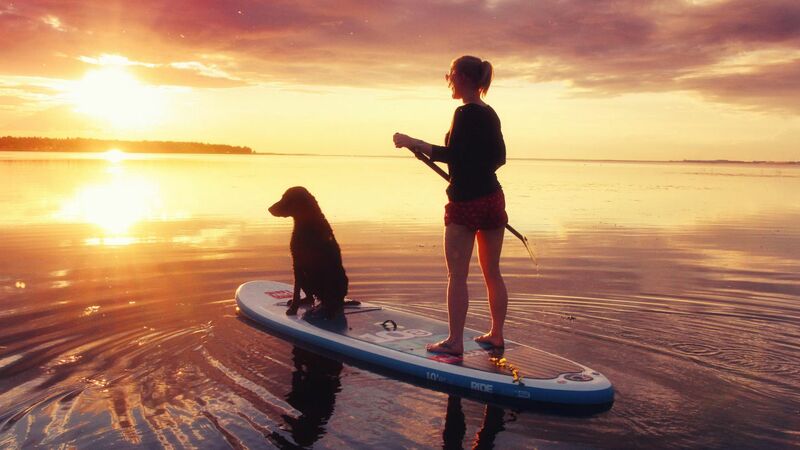 If the water’s too chilly for you, grab a paddle and enjoy the placid waters in a kayak or atop a sup-board. There’s no better way to get a Midnight Tan. Swimming happens anywhere and everywhere, but beaches are another thing entirely. Beaches are made of sunshine, sand, sparkling waters. 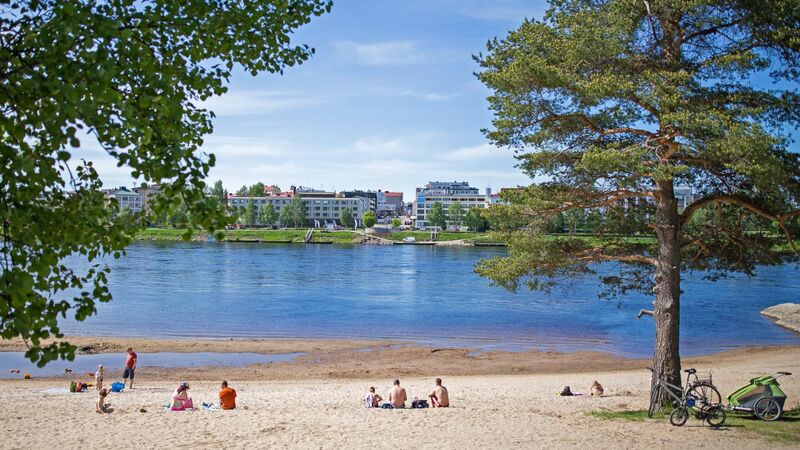 Sometimes called the Riviera of Lapland, Posio’s beaches along Lake Livojärvi offer plenty of sand and room to stretch out in it. To lie back and soak in the sun like a lazy housecat. When you’re suitably cooked, grab an ice cream cone from a nearby kiosk and check out the patchy brown reindeer wandering around the edge of the trees by the huge lake. 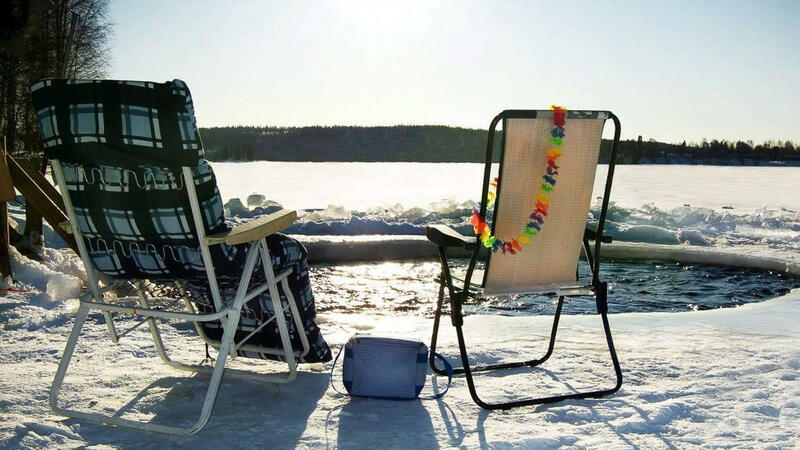 Because Riviera or not, you’re still in Lapland. Looking for more great ways to put a little Lapland color in your cheeks? Check out these great articles!